Less than 5 participants? Come to my location. Group of 5+, and I will come to you. Outside of a Tampa, FL zip code may require 8 or more participants or a new group quote depending on distance. Because of my rates, I have been selected over local Trainers in the Florida Keys, all the way to Tallahasse. (SPECIAL OFFER!) Group trainings include 1 CPR faceshield to the organization. Additional CPR faceshields cost $3 & up. *** This offer subject to change without notice. calendly.com/trudybeerman Please select 1 slot for each renewal session you need. For example, CPR only = 60 minutes. 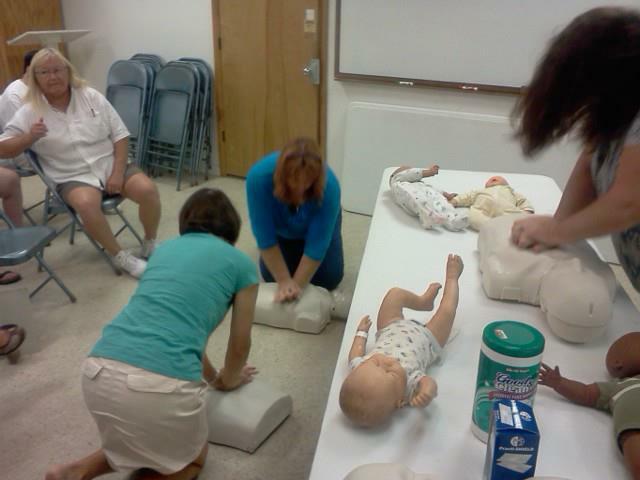 CPR and First aid = 120 minutes. A group is 5 participants or more in a Tampa, FL zip code. Larger group size or group minimum outside of this territory, but we are still happy to serve.